The most plush golf destinations in the world, The Address Montgomerie Dubai, is our Best International Golf Resort this year, where you can play footgolf! Plan some tee time at The Address Montgomerie Dubai. Ever thought of playing footgolf – football and golf together – if you have fascination for both? 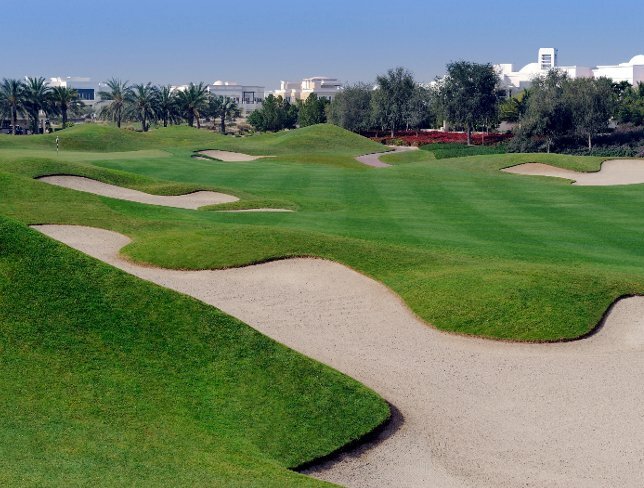 It is possible at one of the most plush golf destinations in the world – The Address Montgomerie Dubai. And if you are not trained in either, the Address takes care of the golf as you get lessons from a seasoned player at the property. Landscaped grounds, a perfect Dubai weather, and golf stick in hand: golf lovers across the world dream of a vacation as simple and luxurious as this. Now you have the excuse to take your umpteenth holiday in Dubai. Designed by Scottish professional golfer Colin Montgomerie in association with Desmond Muirhead (golf architect), the course covers 265 acres that include 123 acres of turf, 49 acres of man-made lakes (14), 93 acres of landscaped gardens and is scattered with 81 large bunkers. Needless to say it became the attraction of one of Dubai’s most exquisite residential communities – Emirates Hills. The 18-hole course offers a golf school and complimentary equipment. 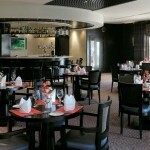 Bunkers restaurant at The Address Montgomerie Dubai. 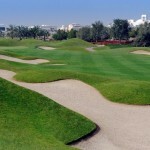 The Address Montgomerie Dubai is a golfing destination. A guestroom at The Address Montgomerie Dubai. Located 9 kilometres from Palm Jumeirah beach, the resort offers panoramic view of the courtyard through Deluxe rooms while the premier golf view rooms let you gaze into the green course. The contemporary rooms come with plush interiors and separate bath and shower. However, the silence will soothe you the most as the property is located away from the traffic in the Emirates Hills. 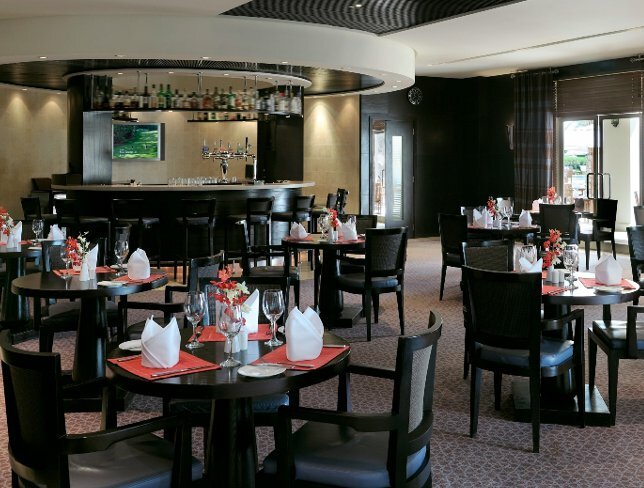 Amongst its three fine dining options is Monty’s, named after the designer golfer that is placed by the 18th hole thus making it popular among the golfers. Apart from having golfers amongst its regulars, the resort also made a debut at golfing tournament this year with ‘The Monty Summer Series 2016’ making way for more such endeavours in future.